Virtually every piece of armor had some importance to a warrior, although the gauntlets had a special significance. After all, Steel Gauntlets are ideally suited for protecting the hands without weighing them down or limiting their range of movement. 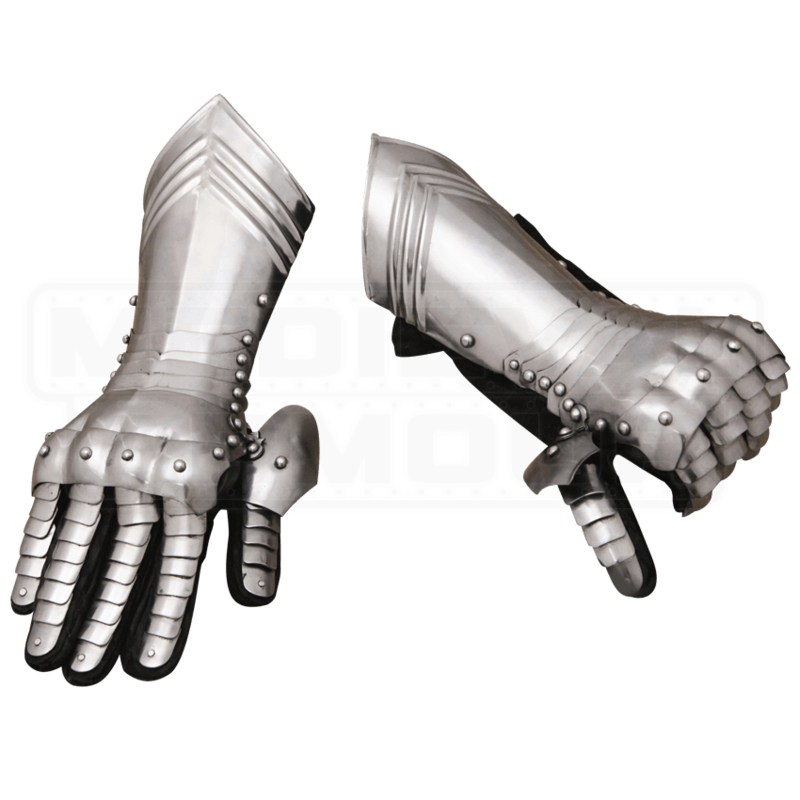 These gauntlets consist of a pair of gloves that had have steel plated to them, creating a piece of armor that is as comfortable and easy to wear as it is protective. They consist of a shaped metal plate that features fluting along the edge, which rests over the wrist and lower forearm. Attached to this metal plate are several more steel plates, all hinged together to provide the articulation necessary to allow the gauntlet a wide range of movement. The fingers and the thumb are the same way, consisting of metal plates, all interlocked to create articulation where it is needed. Attached to the gauntlet are leather straps around the wrist and palm, which help to ensure that the gauntlet is worn securely. The gauntlets are available in one size and are sold as a matched pair. 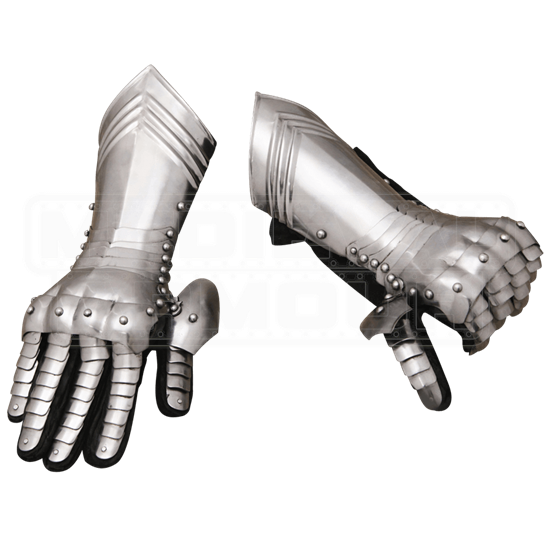 Steel Gauntlets are great for keeping your hands safe in the frenetic rush of melee combat, and as an added bonus, they are also quite fun to wear too, either when entering into mock-combat, LARP battles, or just wearing them with your typical medieval costume.